Just a quick check in before we board our flight to Germany! I’m so excited to see our former landlords when we lived there nearly 25 years ago! They accepted us into their family. We spent our holidays with them, attended church with them, participated in their sons wedding and Kristen also appeared in the German newspaper in a photo of their large family reunion. I called our landlords, Elfreide, a few days ago and she was so excited. She only speaks a few words of English and my German is rusty at best. Charlie saw them last year and delivered a small quilt I made for her. 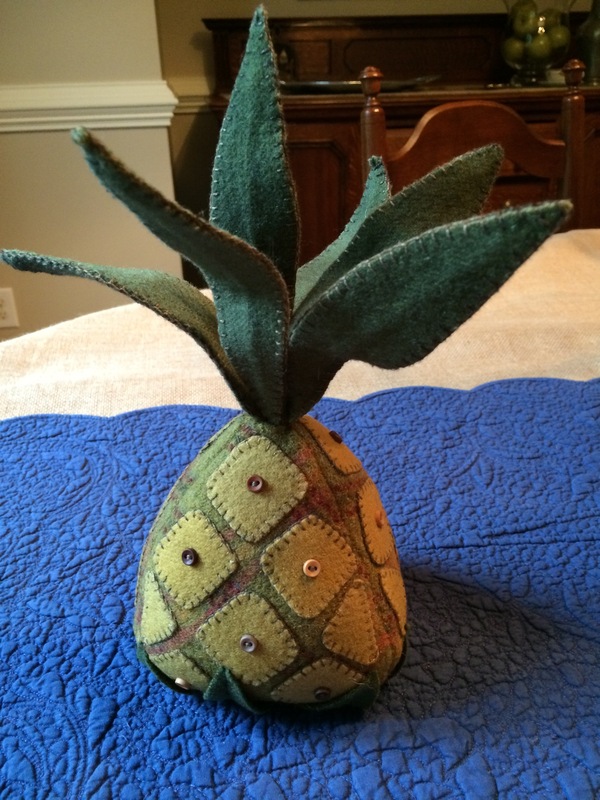 This trip she will receive a wool pincushion that made. 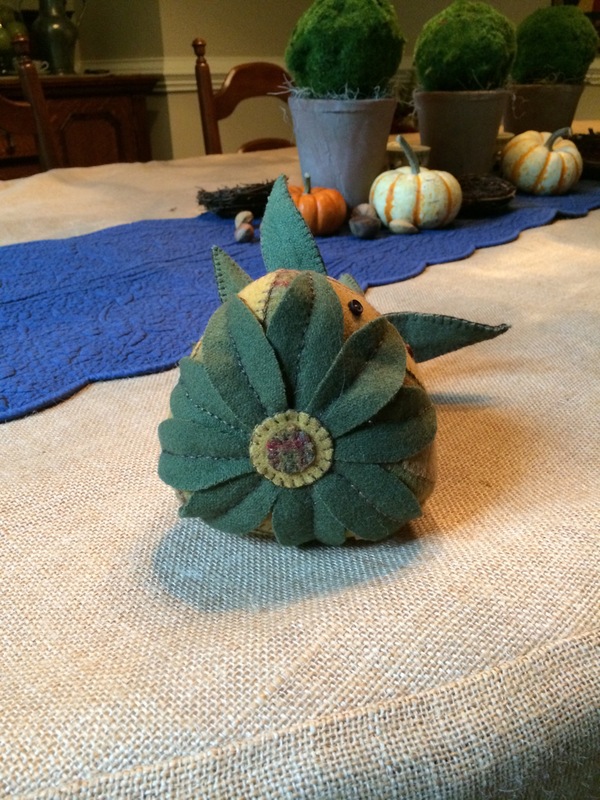 It’s a pineapple…a symbol of Williamsburg, VA and hospitality! I hope she likes it. Hopefully I will have some connectivity this week and a half. If so I will be posting updates of our trip. By the way, Charlie’s trip is business related and mine is for pure enjoyment! Tschuss!